Medicines to treat HIV can eliminate the risk of sexual transmission. People with HIV who take their medication every day and maintain an undetectable viral load (<200copies/ml) are effectively at zero risk of transmitting HIV to their partner. 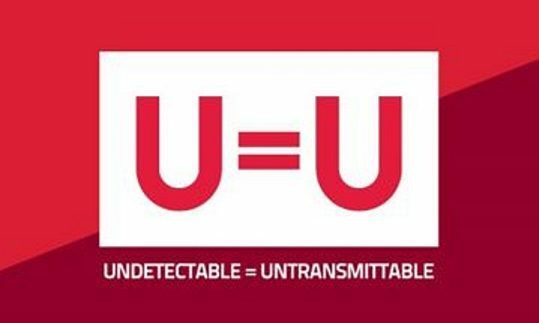 This is known as undetectable = untransmittable or U=U (#UequalsUSF). If you are taking HIV medication you should see your provider at least every 3-6 months to check your viral load. If you or your partner stops HIV medications for several days you may be at risk. Consider PrEP and/or condoms to prevent HIV and contact your provider. Science supports and validates the message of U=U. Data from studies provide the evidence. However, we don’t have enough data to know if being undetectable prevents HIV transmission among people who inject drugs. Rodger, Alison J., et al. “Sexual activity without condoms and risk of HIV transmission in serodifferent couples when the HIV-positive partner is using suppressive antiretroviral therapy.” Jama 316.2 (2016): 171-181. Bavinton, Benjamin R., et al. “Viral suppression and HIV transmission in serodiscordant male couples: an international, prospective, observational, cohort study.” The Lancet HIV 5.8 (2018): e438-e447.